MEDFORD, Ore. - Seven Medford Rogues players have been selected for the 2018 Great West League North All-Star Team. Infielders Tommy Ahlstrom (Simpson University) and Kody Garvin (Lewis-Clark State College), outfielder Cole Carder (University of Antelope Valley), and pitchers Tony Barrios (UC San Diego), Tanner Simpson (Lewis-Clark State College), Gabe Smith (Everett Community College), and Chase Spinning (University of New Mexico) all have been named 2018 GWL All-Stars. 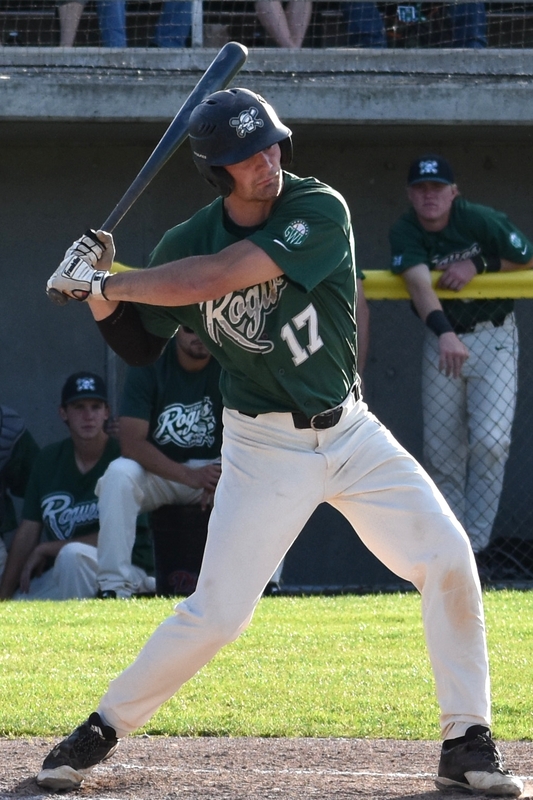 Infielder Tommy Ahlstrom has had an incredible season so far, batting .364 and currently leading the Rogues in RBI (29), and home runs (6). Moreover, he has had 11 doubles, the second most on the team, and has 30 runs scored on 39 hits, with nine stolen bases. 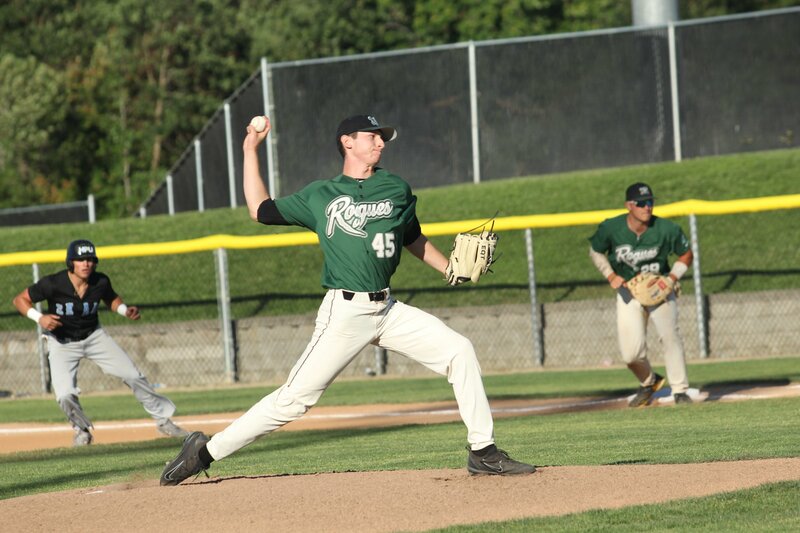 Ahlstrom went supernova against the Lincoln Potters in late June at McBean Memorial Park. 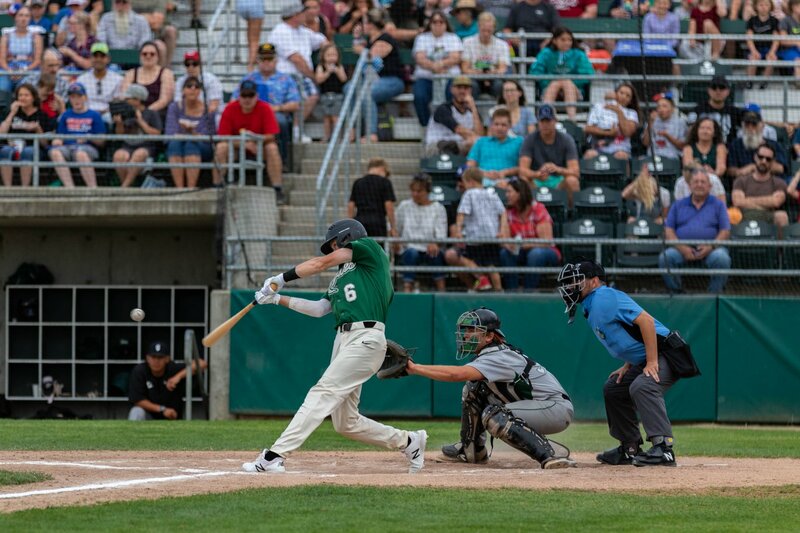 He went 6-for-6 with four doubles, two home runs, five RBI, and five runs scored to lead the Rogues to a franchise record 23 runs scored on a franchise record 21 hits. Ahlstrom’s six hits and four doubles in a game is the most by a single player in franchise history. Ahlstrom has been named the Great West League Player of the Week. Medford native Cole Carder is the lead-off hitter and everyday centerfielder. Carder is batting .384 with a team high 43 runs scored. He also has 12 doubles, two triples, four home runs, 25 RBI and 11 stolen bases. Carder had a 14-game hitting streak earlier this year and has also been named Great West League Player of the Week. The former South Medford Panther and Medford Mustang has been one of the best players in the league in his first season in the GWL. 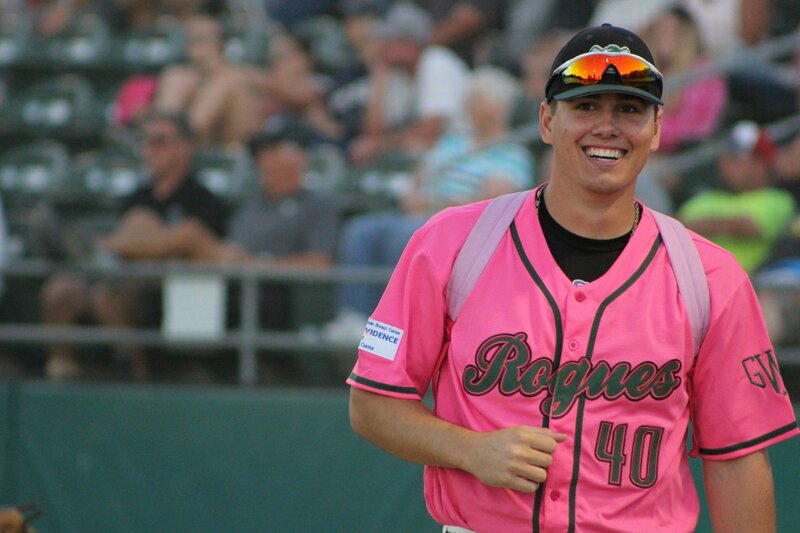 Rogues’ first baseman/outfielder Kody Garvin is batting .335 this season and is tied with Carder in home runs at four. Garvin also has had six doubles, 17 RBIs, and five stolen bases to go along with the batting average and power. 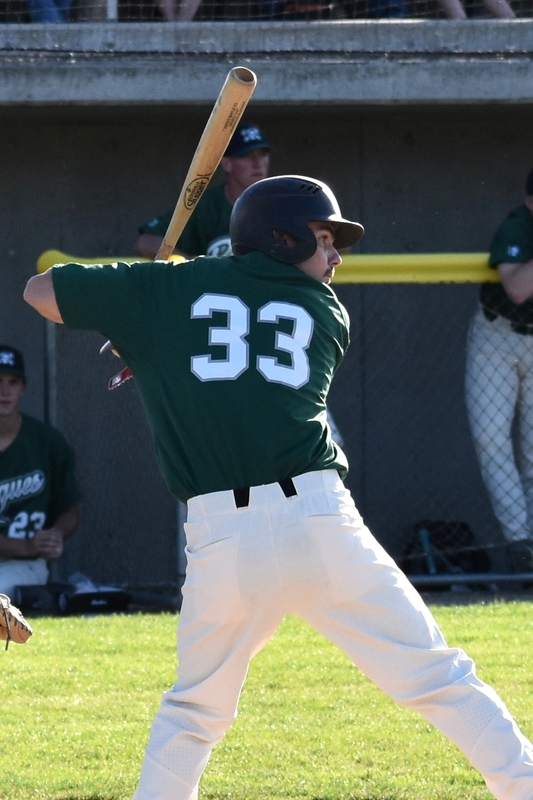 The Lewis-Clark State junior started his Rogues career off with a bang when he had a hit in seven consecutive at-bats over two games in his first series with the team, including two home runs, six RBI and six runs scored against the Klamath Falls Gems. Garvin has proven himself a leader on and off the field as one of the more vocal players on the team, he has been known to encourage teammates and offer advice time and time again. Tony Barrios, a sophomore at UC San Diego, joined the Rogues later in the season, but quickly began securing wins as a starting pitcher. In less than a month, Barrios has faced 76 batters over 18 innings and has struck out 15. He also has only allowed seven runs on 10 hits. 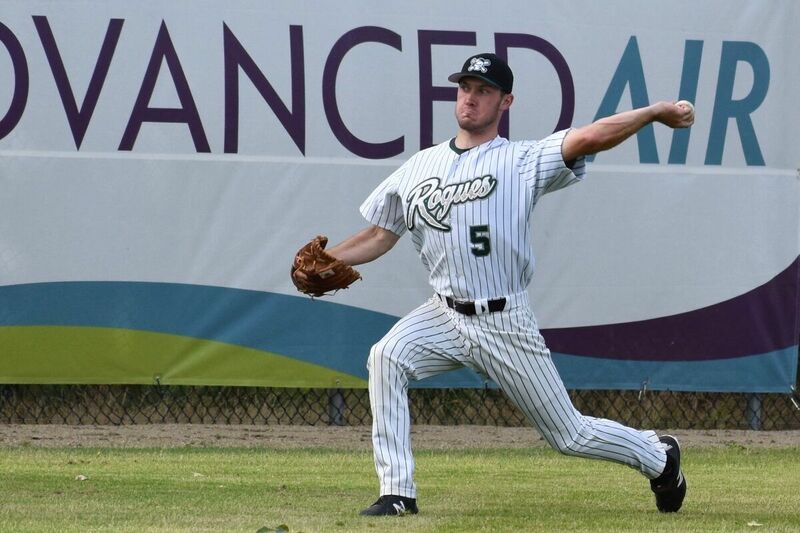 It’s no surprise that Rogues’ ace Tanner Simpson was named a GWL All-Star. In 31.2 innings, Simpson has struck out 31 batters and allowed only seven runs on 28 hits! Simpson, who will be joining fellow all-star Kody Garvin for their junior year at Lewis-Clark State, has secured a team-high three wins, and has been named Great West League Pitcher of the Week. Closer Gabe Smith, has pitched 16.2 innings, striking out 17, and has only been charged with five runs on 16 hits. That’s good for a sparkling 0.54 ERA. He has recorded multiple strikeouts in five of his last six appearances. Smith is heading into his sophomore year at Everett Community College. Relief pitcher Chase Spinning was named an All-Star after an incredible first half of the season. Spinning pitched 26.1 innings, struck out 28, and allowed only seven runs on 18 hits. Spinning also picked up three wins over the 10 games he pitched, and has a 1.71 ERA. Along with Simpson, Spinning has also been named Great West League Pitcher of the Week. The Great West League's third annual All-Star Game will be played at historic Kiger Stadium in Klamath Falls, Oregon. First pitch is at 6:35 pm, with a Home Run Derby slated for 4:30 pm. Fans will be able to obtain player autographs following the Home Run Derby. Gates open at 4:00 pm. The game will pit the North All-Stars (Chico Heat, Klamath Falls Gems and Medford Rogues) against the South All-Stars (Lincoln Potters, San Francisco Seals and Yuba Sutter Gold Sox). Fred Ludwig, skipper of the Chico Heat, will manage the North All-Stars, while Yuba Sutter Gold Sox manager Jeramy Gillen will lead the South All-Stars.